Many of my students once asked me. Is it worth to invest in a fisheye lens for an APS-C size camera body? If yes, which one? That was a tough question. That goes into the equation of costs versus picture quality issue versus the angle of coverage. with me that most cameras today comes with built in or digital filters that usually includes the fisheye, well dun be fooled. Yes, you get the fisheye effect, but what the camera did was to take your original photo and simply “Bloat” up the centre, I believed most of you who are reading this may already start to have a pretty unpleasant mental picture of what I am talking about – yes, simply aweful. I went on a trip recently to Philippines covering a few projects at the same time. I was really excited & happy when I was issued a Sigma 10mm F2.8 EX DC HSM Fisheye for this trip by Sigma Marketing (Singapore). 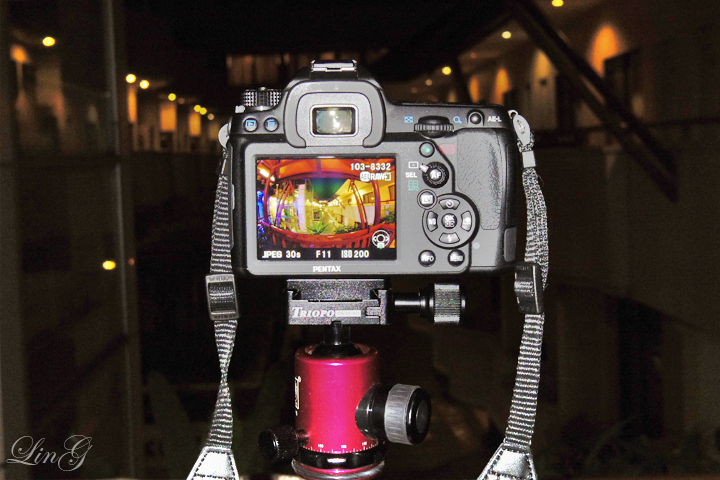 This is one of the compulsory lens to have when travelling to places with ancient old buildings and churches. Simply perfect. 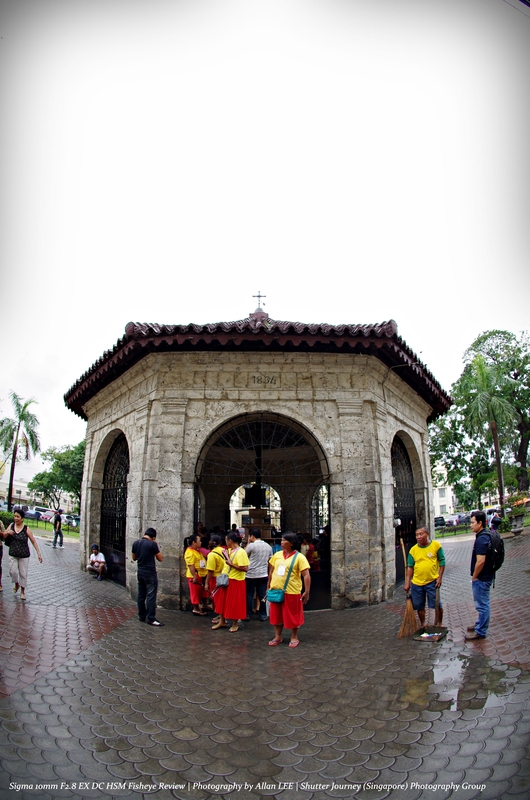 Picture: Ferdinand Magellan’s Cross, Philippines. to 13cm (although Sigma claims 13.5cm). 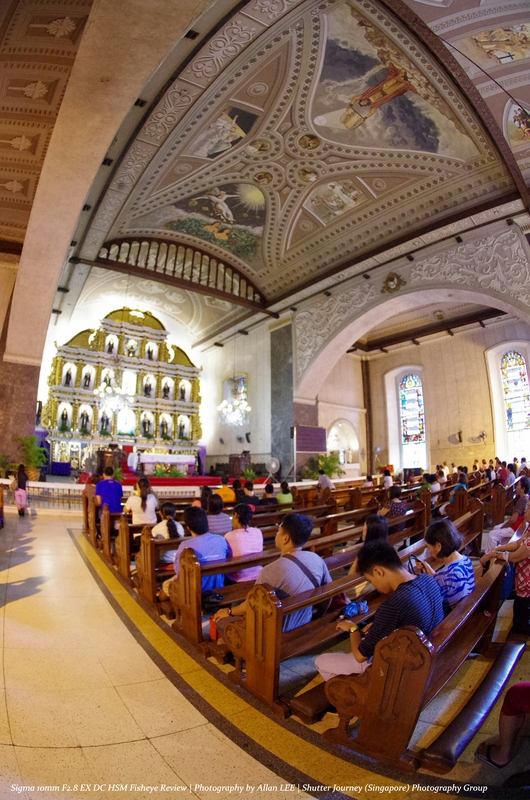 Picture: A Mass is going on inside the Basilica Menor del Santo Niño, Philippines. 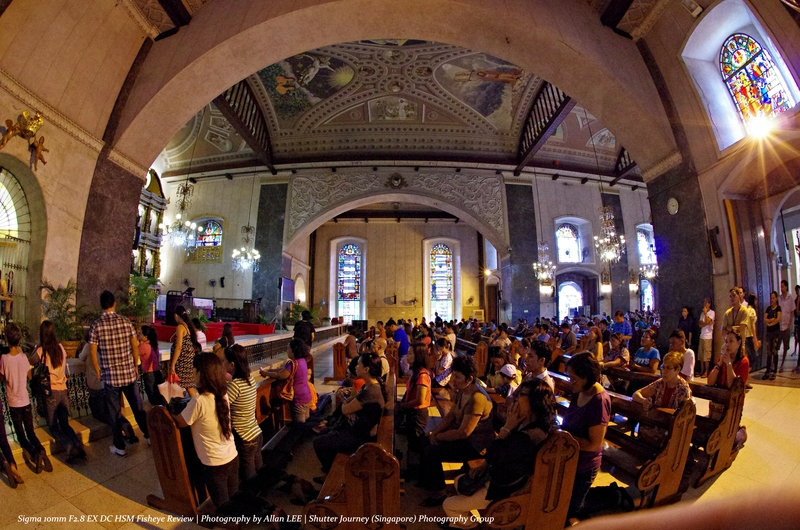 Picture: Devotee Deep in Prayers inside the Basilica Menor del Santo Niño, Philippines. 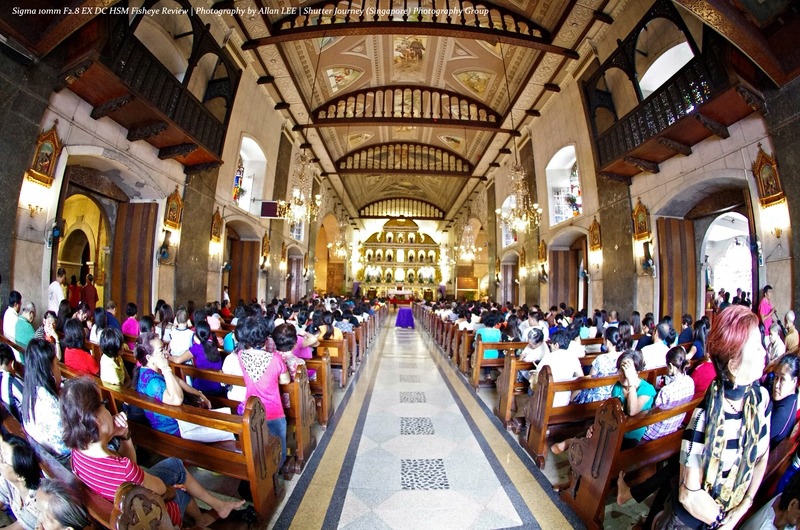 Picture: A View from the Back inside the Basilica Menor del Santo Niño, Philippines. 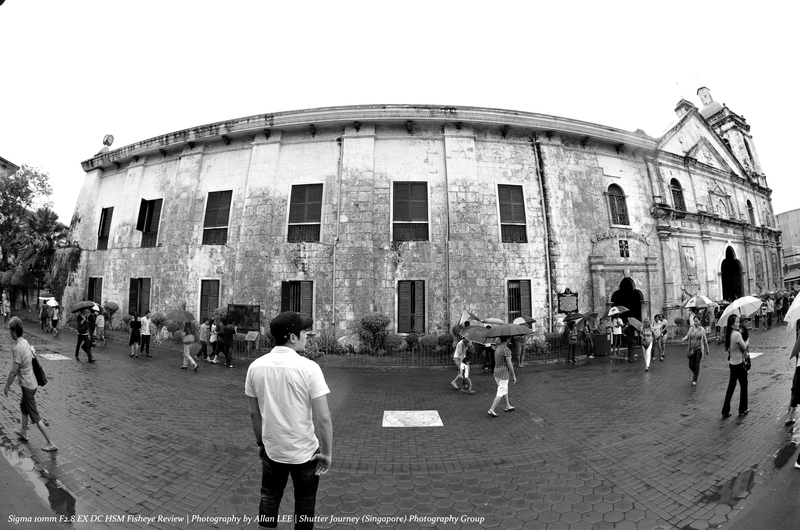 Picture: People outside the Basilica Menor del Santo Niño, Philippines. of the church too. The 10mm Fisheye saved the day. 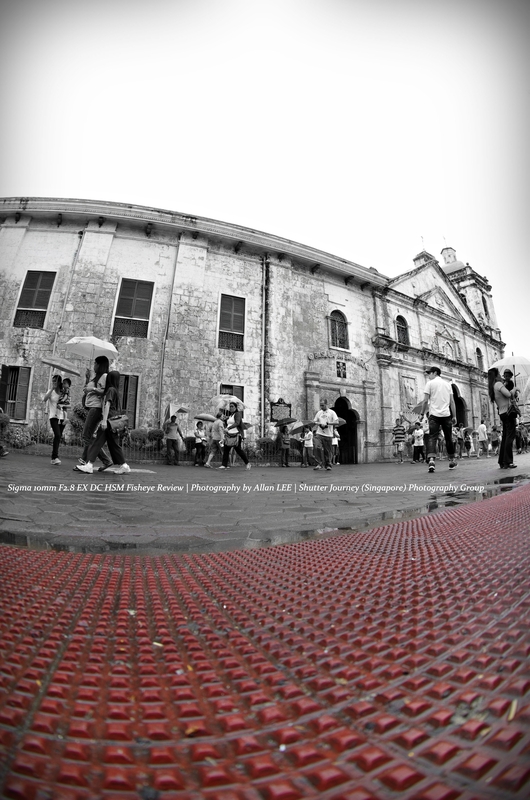 Picture: A Low-to-Ground Shot of the People outside the Basilica Menor del Santo Niño, Philippines. 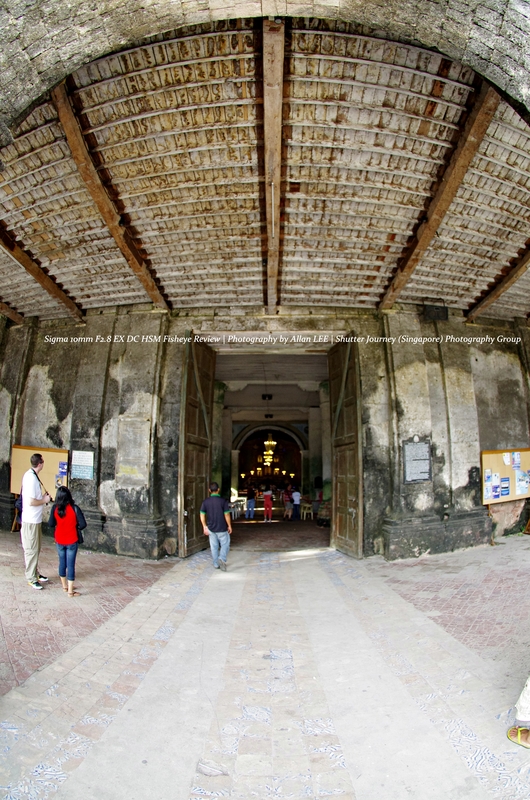 Picture: The Hut Built to shelter Ferdinand Magellan’s Cross from the elements, Philippines. Soon, I found myself on a floating buffet restaurant having lunch while cruising down the Loboc River. 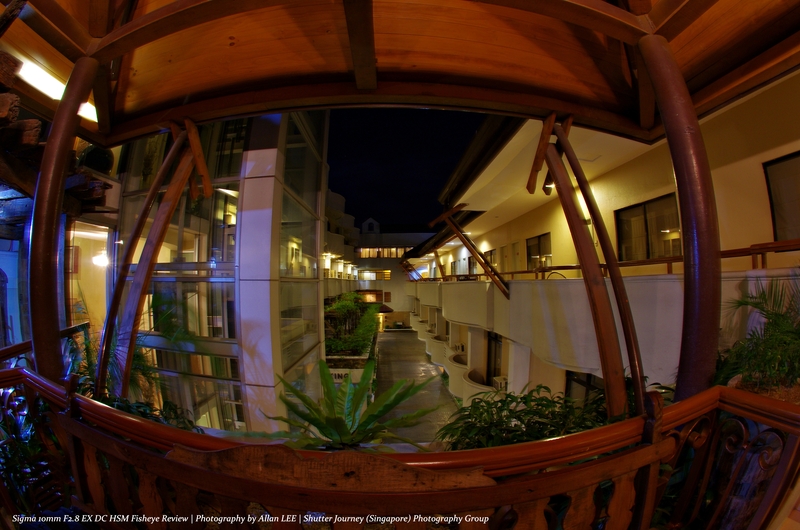 not just the restaurant, but also the river views from outside the boat – the Sigma 10mm Fisheye to the rescue. 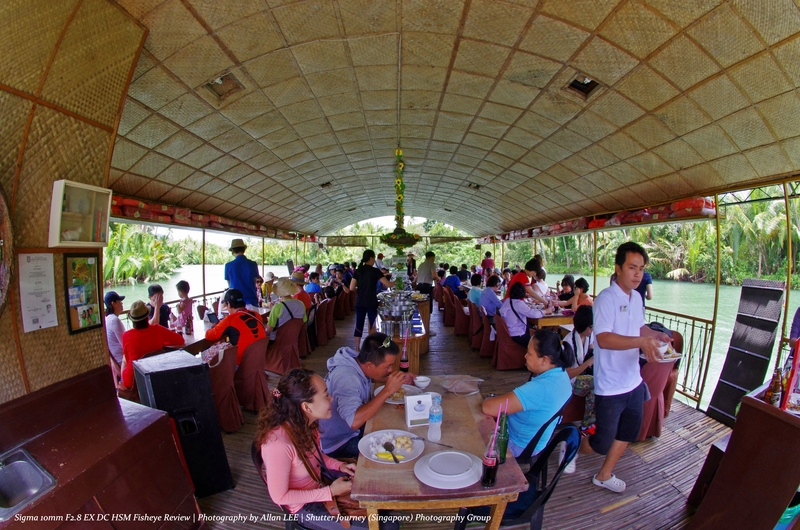 Picture: Floating Buffet Restaurant on Loboc River Cruise, Philippines. 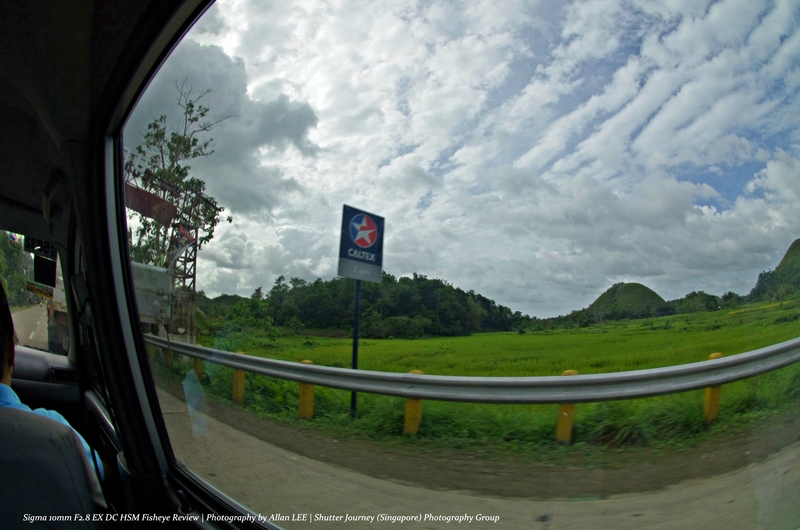 Picture: On the Road to Chocolate Hills (Carmen), Philippines. 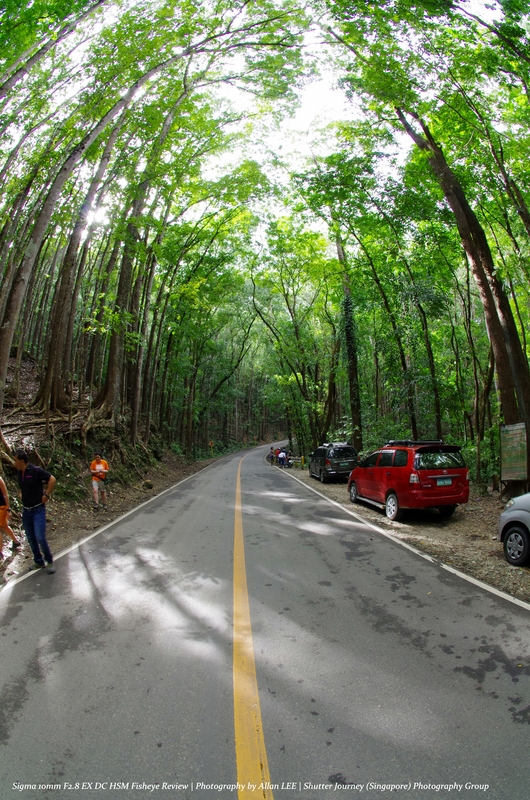 Picture: Mahogany Man-Made Forest, Philippines. 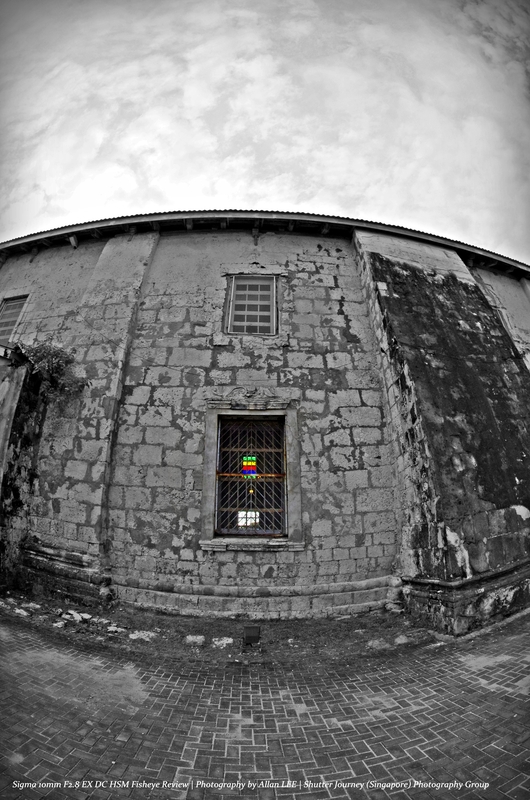 Picture: Baclayon Church, Philippines. Everything here is hand-built. 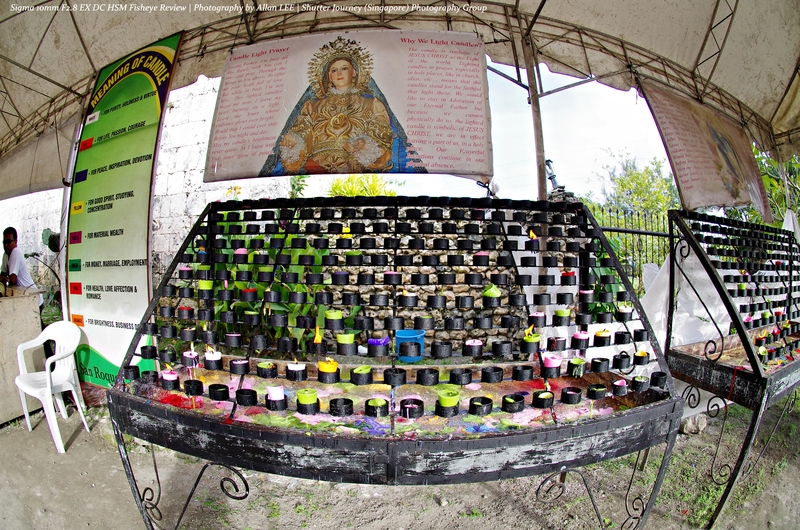 Picture: Blessings Candles at Baclayon Church, Philippines. Each Color Represents a Blessing. 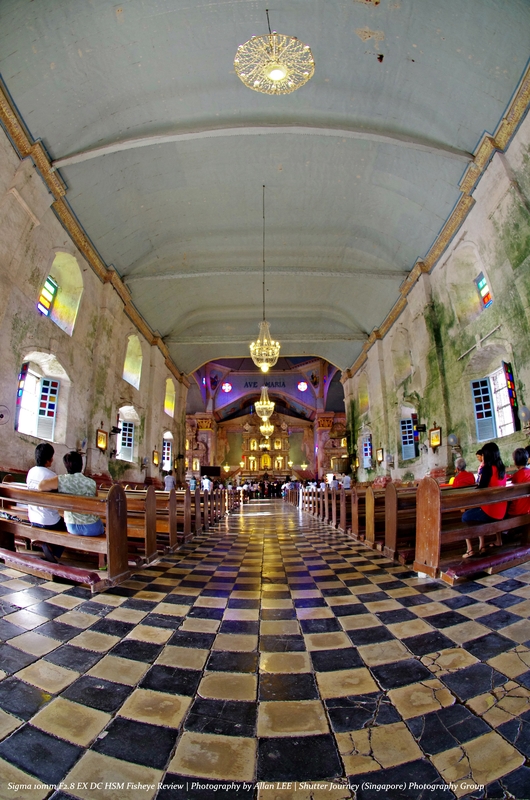 Picture: Baclayon Church, Philippines. The Magnificience of it all. 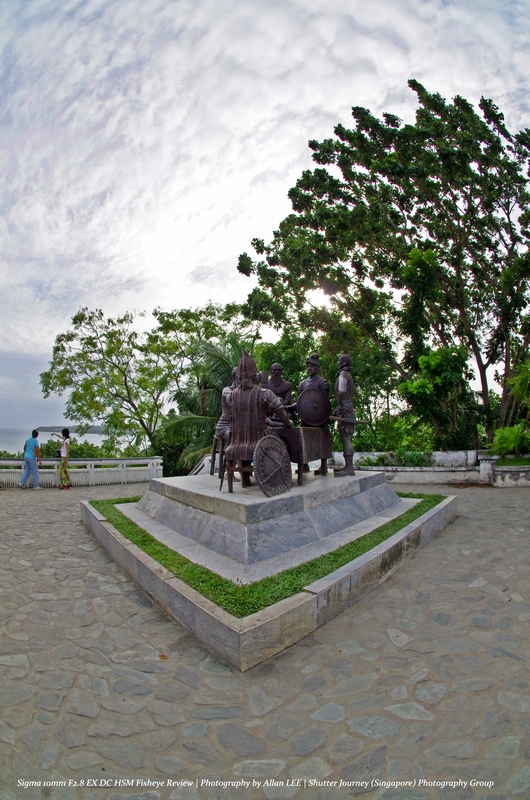 Picture: Blood Compact Monument, Philippines. The Significance, the place where Blood, Wine & Brotherhood were forged. might produce. See the below photos. Picture: Crown Regency Residence, Guadaluphe, Philippines. Shot with the Circular Adaptor. Picture: The Sigma 10mm F2.8 EX DC HSM Fisheye with the Circular Adaptor for the shot above. Picture: Crown Regency Residence, Guadaluphe, Philippines. Shot without the Circular Adaptor. 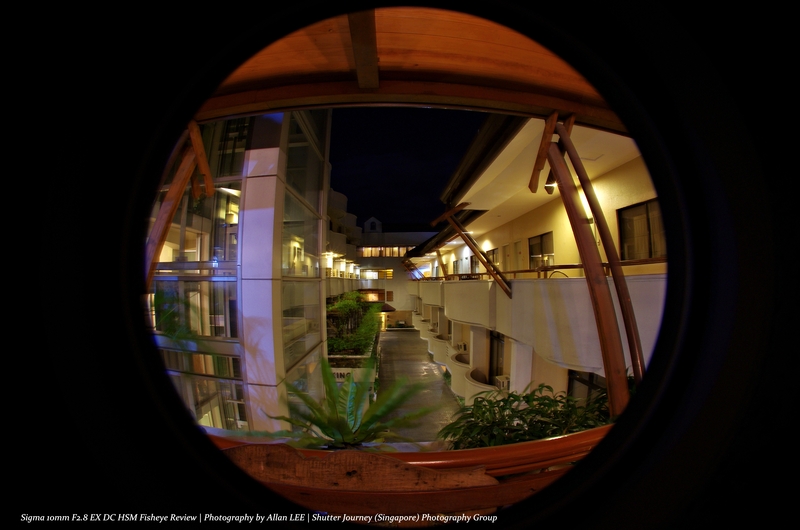 Picture: The Sigma 10mm F2.8 EX DC HSM Fisheye without the Circular Adaptor for the shot above. 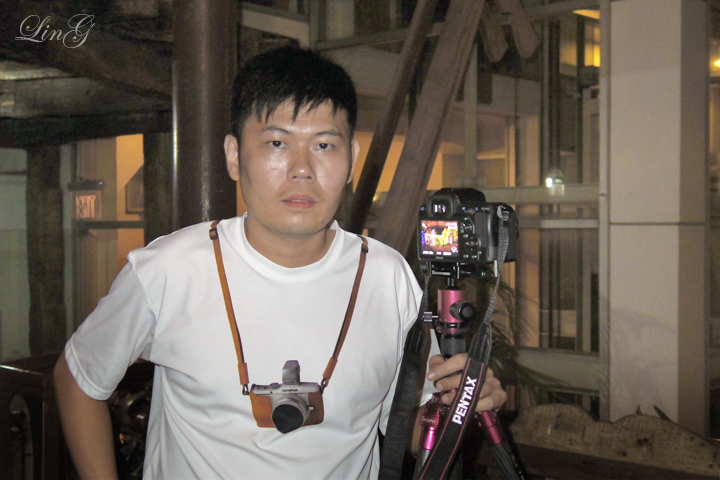 Picture: Me with the Sigma 10mm F2.8 EX DC HSM Fisheye. 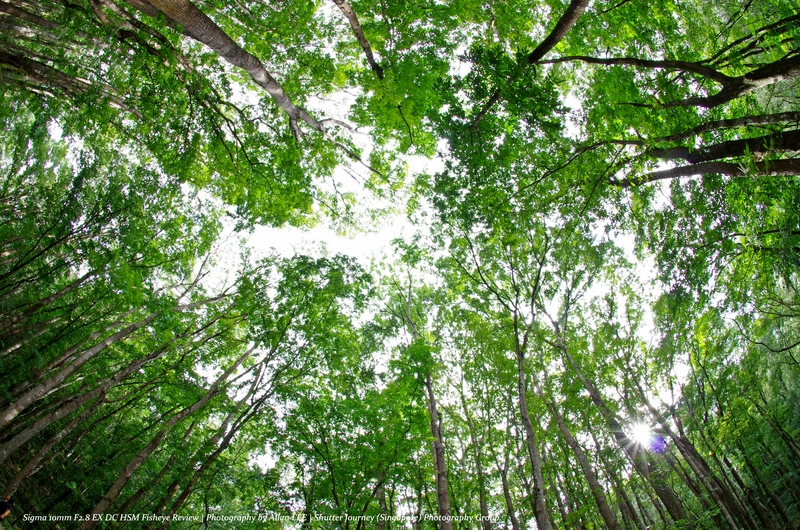 Picture: Photo Made by the Sigma 10mm F2.8 EX DC HSM Fisheye. 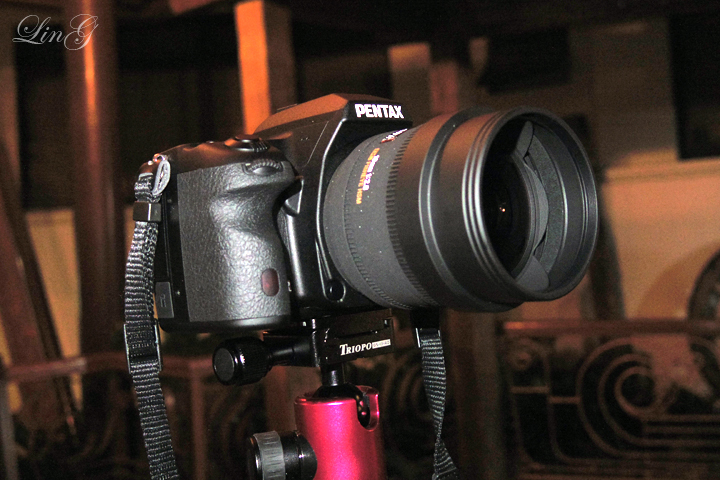 lens to get for your APS-C camera? Look no further, the Sigma 10mm F2.8 EX DC HSM Fisheye is Absolutely worth your every Fish Dollar. 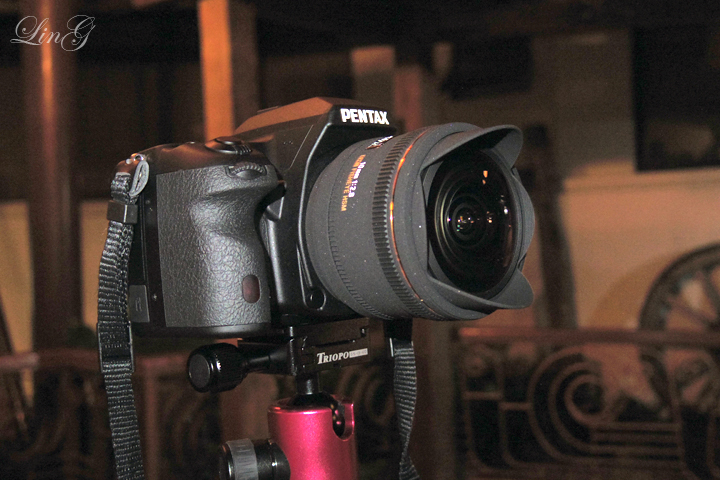 To Find out more about this wonderful lens, visit here. This entry was posted in Brand: Sigma, Group Test & Reviews, Photography Articles & Videos, Uncategorized and tagged APS-C, DSLR, Fisheye, Lenses, Sigma. Bookmark the permalink.